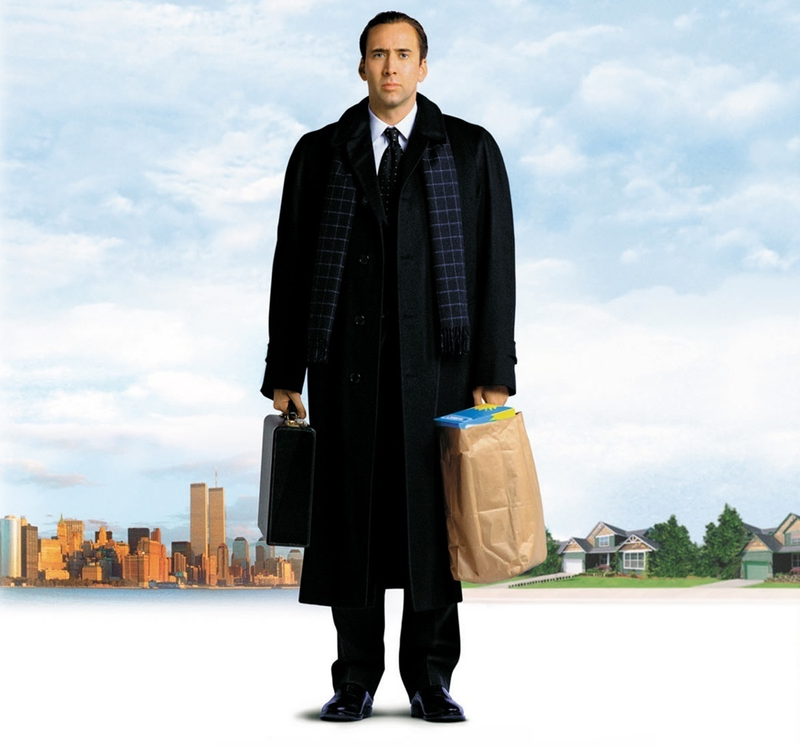 "The Family Man" is an unbearable movie from 2000 starring Nicolas Cage as fat cat investment broker Jack Campbell and Don Cheadle as a guardian angel of sorts named Cash. Is his name Cash because Jack worships the almighty dollar at the beginning of the film? Intelligent symbolism this is not. Cash wants to give Jack a "glimpse" of what his life could have been like if he had chosen a different path. That path involves a knockout named Kate, who he left behind. Played by the gorgeous Téa Leoni, she almost seems worth the trade-off. In the alternate "glimpse," Jack's big bucks and fast Ferrari are gone – replaced by a wife, a couple of kids, a minivan, and a lot less money. Family and happiness trump money and material gain, right? It's a message that's easy to agree with. Unfortunately, the movie does absolutely nothing to convince me that Jack's new life is better than his old one. That's ultimately where "The Family Man" fails. As easy on the eyes as Téa Leoni may be, even she's not enough. The plot summary on IMDB.com refers to "The Family Man" as a "modern-day Frank Capra story." The director of "It's a Wonderful Life" must be rolling in his grave. Both movies are actually quite different anyway – with the biggest difference being that one of them is good. Comfort and Joy (2003): A workaholic, Jane (played by "The Facts of Life's" Nancy McKeon), crashes her car and wakes up with a new family. There's no "guardian angel" in this version of the story, but Jane still remembers her old life and wants to return to it. Can her new hubby and two adorable kids convince her that economic wealth isn't as important as family? TV veterans Dixie Carter and Paul Dooley show up as her parents. A Family Thanksgiving (2010): Like Cage and McKeon, Daphne Zuniga plays Claudia, a work-first, everything else-later stuffed suit. It takes a "mysterious woman" (Faye Dunaway, light years away from her glory days) to show her what could have been. Suddenly, Claudia is dealing with a husband, two kids, and potty training. She remembers her old life, but no one from her law firm remembers her anymore. What If... (2010): The title shamelessly comes from one of "The Family Man's" taglines. 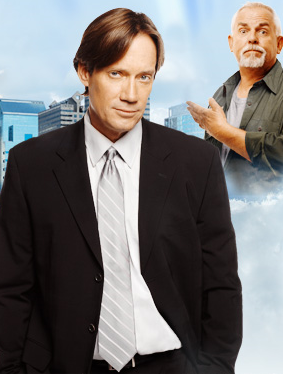 Kevin Sorbo plays a businessman, Ben, who left his ministry and true love years before to strike it rich. A guardian angel ("Cheers's" John Ratzenberger) shows him the life he could have had. Like "The Family Man," it involves a beautiful woman – Wendy (Kristy Swanson). Some of the early scenes are laugh-out-loud funny. Ben is suddenly transplanted into a preacher role he isn't prepared for. Needless to say, he doesn't act like much of a Christian at first. I assume these scenes are meant to be "shocking" and "outrageous," but I was howling with laughter. Ratzenberger is no Cheadle, but he holds his own very well – and Sorbo is someone I will watch out for based on this performance. Me Again (2012): The main actors aren't Nic Cage or Don Cheadle. They aren't even Nancy McKeon, John Ratzenberger, or Daphne Zuniga. But this movie's crazy take on the "Family Man" concept more than makes up for it. It involves two versions of the same person walking around and "Quantum Leap"-like body-jumping. Bruce McGill and "Touched by an Angel's" Della Reese appear in small supporting roles. These films use the formula established by "The Family Man" to varying degrees. They're either TV productions or direct-to-DVD releases. None of them have a-list actors or a big budget. They're not even "great movies" for the most part. But they're all better than "The Family Man" because they actually manage to convince me that their characters' "alternate lives" are indeed the better fork in the road.